Drops 11" from ceiling. 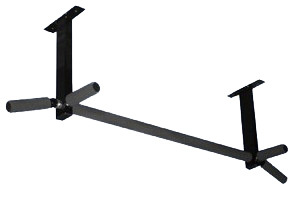 The bar is 45" wide, and has two 45 wide grip handles as well as two neutral grip handles. Maximum weight capacity of 375 lbs.